Interviews are a staple of the video production process. 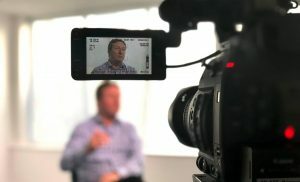 From interview-driven promotional films and customer testimonials, to short “vox pops” at events, to capturing interviews with thought leaders to enhance or support learning, the technique of using interviews to tell a story is applicable to a wide range of different video types. In comparison to writing and memorising a script, interviews are usually a more relaxed way for your contributor to get the message across. Carefully crafted interview questions, supported by off-the-cuff questions based on what has already been discussed in the interview, will result in a natural, thoughtful and high quality narrative for your next video. Writing a script might seem like the best way to make sure all of your key messages are included in a piece to camera, but unless you’re filming an experienced presenter, the end result can sound robotic and unemotional. In contrast, an unscripted interview allows your contributor to say what they actually think, rather than worrying about whether they’ve successfully recited a pre-written script. However, it’s still important to plan your interview carefully. Having a coherent idea of what you want to ask your contributor will make the whole process far easier – especially if you share your questions with them in advance. Single camera interviews are cost effective and a great driver for video styles such as promotional videos and customer testimonial films. 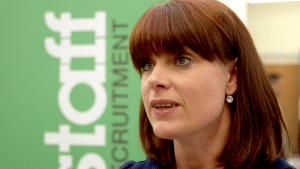 In most cases, a well conducted single camera interview won’t seem like an interview at all. While one camera is usually enough, a second camera can provide a recording of the person asking the questions during conversational interviews, can provide an alternative angle for trimming down lengthy answers, or could be used to show surrounding details that the interviewee may refer to while talking. 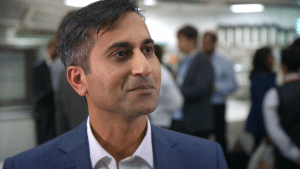 We’ve filmed thousands of interviews across a wide variety of industries and sectors with people of all backgrounds; from young children all the way up to politicians and professional broadcasters. Whether we’re asking the interview questions on your behalf, or simply there to operate the camera, we’ll work with you to make sure that your interviews will tell the story and convey the messages you need. From providing pre-shoot briefings for both the interviewee and interviewer, to nailing the technical details of the shoot, you’re in safe hands with our team.